Welcome to January’s underwhelming fossil fish of the month. Normally in this introductory bit, before the jump, I try to do a bit about some topical event and then tentatively link it to this month’s fossil fish. Increasingly, this gets harder to do as topical events aren’t so much celebrity talent judging shows or how a politician struggles with eating a sandwich but is altogether more bleak and “Isn’t the world awful?” Ha, ha, ha, ha, here’s a fossil fish is a tough gig. Last week, the Doomsday Clock was moved two minutes to midnight, the closest the clock has been to Doomsday ever and as close as it was in 1953. In the summary of the setting of the clock for 2018 it’s not just the threat of nuclear war but cyber warfare and climate change which are reasons for the clock edging closer to midnight. But what are you gonna do about it? Kids have got to go to school tomorrow, bills have got to be paid and those selfies, by definition, won’t take themselves. There’s a paper thin wall between civilisation and anarchy when the distraction of the rat race changes to a basic fight for survival and we’re closer than ever to bursting through that wall. In post-apocalyptic movies and TV shows there’s often a protagonist who wakes from a coma to find the world changed. Society shattered. The slept through the apocalypse trope is so heavily used because when society collapses, when the rules go out of the window, it will be swift and brutally violent and deeply disturbing. Which might be too real for audiences. Especially these days. There won’t be a warning and before you know it, you’ll be throttling a friend or colleague to death for the last bag of skittles. It’ll likely be on a day that starts just like today. Dearly beloved, we are gathered here today to witness the monthly union of a fossil fish and the acknowledgement of how underwhelming this fossil fish is, in holy blogimony, which is an honourable estate, that is not to be entered into unadvisedly or lightly, but reverently and soberly. It’s the end of March which means only one thing. Well it means many things but in the specific context of this monthly series that explores the underwhelmingest of fossil fish, which to be honest is most fossil fish, from the collection at the Grant Museum of Zoology it means its time for a new one. But don’t confuse this perfunctory progress of the seconds, minutes, hours, days and months as an excuse for any kind of celebration. That’s not what we’re here for. Instead we are here to review a not-very-interesting fossil fish, unloved by all but the most…. no, just unloved by all. Why might we do this? Well as the French say, “C’est la fin des haricots”. So without further ado, as the Germans say, “Wer weiß, warum die Gänse barfuß gehen”. January 2016 was a big month for palaeontology in the media. 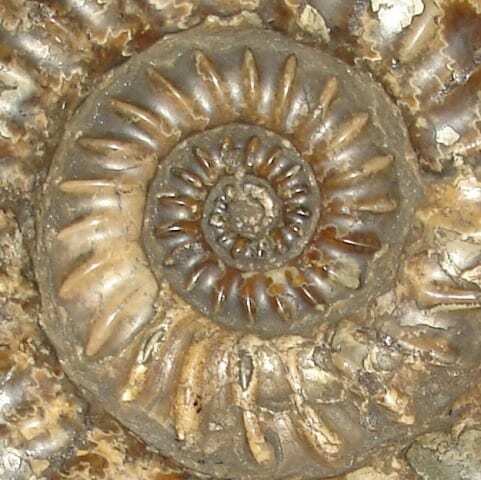 This month you may have caught a programme on fossil Mesozoic vertebrate finds featuring one of the most beloved natural historians, some might go as far to say, ‘National Treasure’. No, I’m not talking about David Attenborough and some big dinosaur, that’s the easy route to media coverage. I’m talking about our very own underwhelming fossil fish on Radio 4’s Inside Science programme. If you’re new to this blog series, the humble goal is to increase global fossil fishteracy one underwhelming fossil fish from the Grant Museum collections at a time. In both sad and happy news, I’m off to pastures new at the end of August, leaving the Grant Museum after what will be ten years and off to the Oxford University Museum of Natural History. Although that’s still a while away yet, the schedule for the specimen of the week writing mean that this will be my last specimen of the week. One question I get a lot working at the Grant Museum is “What is your favourite specimen?”. My normal answer is that it changes from week to week depending on what I’ve recently been working on or the specimens I’ve become familiarised with which have been requested for use by researchers. However, I do have a soft spot for this week’s specimen of the week which has been used in teaching and research and hundreds, if not thousands of people have got hands on with this specimen in family and school handling activities. I was pleasantly surprised to find that it hadn’t already been featured in this blog series either. Dean Veall here. On Tuesday this week Team Grant celebrated what would have been Robert Edmond Grant‘s 221st birthday in the a suitably zoological manner raising a glass of sparkling cider (non-alcoholic, of course!). The formal celebration of Grant’s life and his contribution to science is coming up next Tuesday 18th November with our annual Grant Lecture, now in its 18th year. 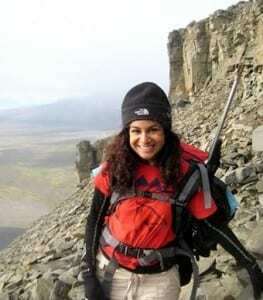 This year we are incredibly excited and pleased to welcome Dr. Anjali Goswami, Reader of Palaeobiology at UCL, to give the lecture and the following is a bit of profile/preview of the her and her lecture. Anjali Goswami’s research revolves around the contrasts between the early evolution of placental mammals (e.g. humans, cats and whales) and marsupials (e.g. kangaroos, wombats, opossums).